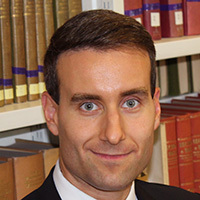 Dr. Davor Jancic is a Senior Researcher of EU Law at the T.M.C. Asser Institute Center for European and International Law at the Hague, Netherlands. The U.K.-EU settlement, despite being legally binding and only amendable with the U.K.’s consent, does little to reaffirm British sovereignty. It is primarily a set of restatements and interpretations of existing EU law with new proposals primarily in the area of social policy.